June 1, 2018 — A report commissioned by the Scottish government and published today sets an important legal precedent by concluding that “hostility towards a political entity” should not be considered a hate crime. The report, authored by Lord Bracadale, a senior member of the Scottish judiciary, states: “The right to engage in legitimate political protest is fundamental in a democratic society.” As an example, it cites a Scottish Palestine Solidarity Campaign (SPSC) boycott action against an Israeli music group. Solidarity activists have celebrated this report as a “rejection” of the so-called International Holocaust Remembrance Alliance (IHRA) “Working Definition on Antisemitism,” which stipulates — in the examples it provides — that certain criticism of Israel’s policies or measures of accountability against it should be treated as a form of antisemitism. Lord Bracadale was appointed in January 2017 by the Scottish government to undertake a review of hate crime legislation in Scotland. In the same year, the Scottish Government adopted the IHRA definition of antisemitism. I consider that such an approach would extend the concept of hate crime too far and dilute its impact. The freedom of speech to engage in political protest is vitally important. For these reasons I do not recommend extending the range of protected characteristics to include political entities. The Faculty of Advocates, the Glasgow Bar Association, Law Society of Scotland, Fife Centre for Equalities, Coalition for Racial Equality and Rights, and the Senators of the College of Justice, all prominent legal bodies, have also opposed an extension of hate crime legislation to include hostility to a state. In one case, members of the Scottish Palestine Solidarity Campaign shouted slogans during a concert at which the Jerusalem string quartet was performing. These included “they are Israeli army musicians” … “boycott Israel”. The accused were members of a political organisation which campaigns against Israeli occupation of the Palestinian Territories and advocates boycott. The content of their remarks was political in nature, including a call for a boycott. The evidence did not permit the inference that their comments were made because they presumed the musicians to be Israeli or Jewish. A further argument was based on freedom of speech. Freedom to hold differing political views, and to debate those views, was fundamental to a democratic society and should be protected. This included freedom to subject political entities and foreign states to legitimate criticism. A new aggravation of this type could, therefore, have unintended consequences regarding the curtailment of freedom of expression and freedom of political debate. This is a legal victory over repressive attempts by Israel and its lobby groups in Europe and elsewhere to stifle free speech and advocacy of Palestinian rights under international law. Israel’s fraudulent drive to sweep criticism of its policies and its regime of occupation, settler-colonialism and apartheid, as well as nonviolent BDS measures of accountability against it under the rubric of antisemitism are increasingly being exposed for what they are, crude attempts to silence dissent and voices in solidarity with the Palestinian struggle for freedom, justice and equality. 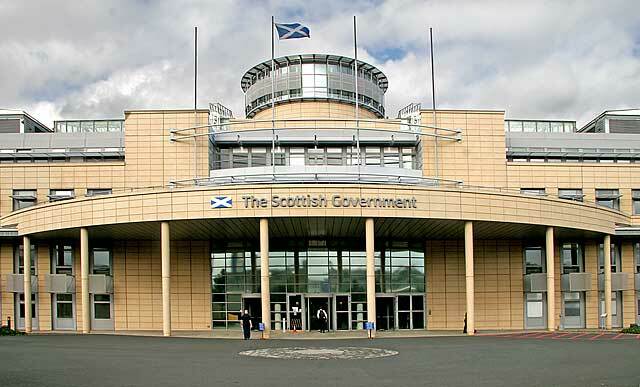 The BNC joins SPSC in calling on the Scottish Government to drop the flawed IHRA “definition of antisemitism”. We also call on all institutions, political parties and governments that have adopted the IHRA definition to drop it, and to follow the conclusion of the renowned judge Lord Bracadale. The fight against Israeli apartheid and the fight against antisemitism are part of the same fight against racism and oppression in all their manifestations. Racism and racial discrimination are the antithesis of justice, freedom and equality.